It was 1952, and Jack Wrather, producer of Lassie and The Lone Ranger, wanted a desert retreat for himself and his Hollywood friends. 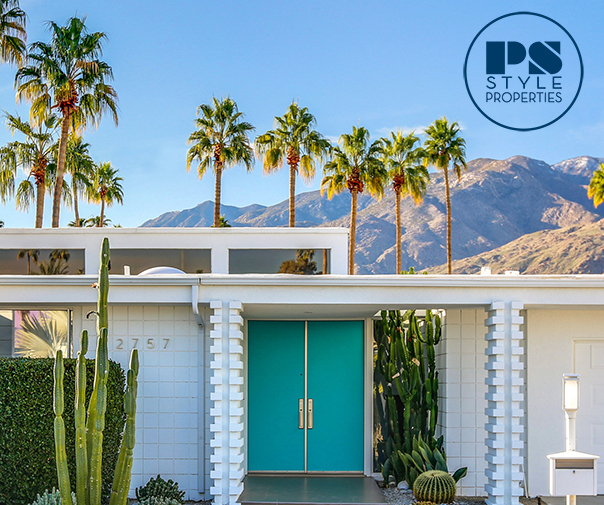 He enlisted prominent modernist architect William F. Cody to create a large property in south Palm Springs featuring separate bungalows that ultimately hosted everyone from Marilyn Monroe to the Nixons during its heyday. More than six decades later, designer Steve Hermann has brought new life to the property, which reopened in July 2015 as L’Horizon Resort & Spa. Hermann, who has designed homes for such discerning clients as Vera Wang and Christina Aguilera, tells us about the journey to elevate this midcentury modern gem to luxury hotel status. Palm Springs Style: What made you decide to take on this project? Steve Hermann: I have always loved Palm Springs as I was raised nearby in the desert. I owned a weekend house nearby and would always drive by the Horizon and knew that if I could own one hotel in the desert this would be the one. I am a big fan of William Cody and midcentury modern architecture, and this is one of the best examples of both. It was always this little gem with 25 midcentury bungalows spread out over three acres, but never was never run as a five-star hotel. I wanted to remedy that. When I got the chance to buy it, I knew that it was going to be an amazing canvas to establish the first hotel of my brand, Steve Hermann Hotels. PSS: Can you describe the renovations and restorations made to the property? SH: We respected the architecture but re-did the interiors to modern standards. I designed the rooms to the same standards as when I am doing a celebrity’s home in Los Angeles. The rooms feature such amenities as 12-inch-wide plank matte oak flooring, brass Forbes & Lomax wall switches out of London, and walnut and marble bathrooms. Very few multimillion-dollar homes have this level of quality, never mind hotels. Every amenity has been considered for the most discerning traveler, such as 600 thread count Frette linens and Le Labo toiletries. I am someone who is not happy with second best. I wanted this hotel to equal or surpass the best hotels in the world, many of which I have been lucky enough to visit. I designed the hotel to exceed the standards of the places I travel to. PSS: Is there ever any nervousness with respect to wanting to “do right” by an architecturally and historically significant property like this? SH: Yes, of course there is, and that is exactly what we did. I am a big fan of Cody and we did right by him. We didn’t change a single thing about his architecture, while the interiors had long ago been removed so there was no conflict there. We added a restaurant whose architecture and finishes look the same as the original buildings, including the white slumpstone walls. It looks like it was always there. PSS: Can you tell us about the additional section being added to the hotel? SH: We are adding 24 suites to the property on the back one-acre lot. The additional suites will have their own swimming pool as well, so both pools will continue to be very low occupancy. The suites will look like they were designed in the 1950s, but won’t simply be replicas of Cody’s buildings. The new suites will be bigger and feature several one- and two-bedroom suites and rival the best hotel rooms in the world. The architecture style will be midcentury but the interior amenities will be completely modern and exquisite. PSS: Do you have a favorite architectural detail or design element on the property? SH: The property is so magical that it is impossible to pick just one thing that stands out. The views of the mountains are amazing from within the rooms. You are able to look out at these incredible vistas through walls of glass. I love the low-slung nature of the bungalows as well. So luxurious, yet so simple. The entire experience feels very inviting and enveloping yet simultaneously honest and authentic, because it is. People are looking for authenticity and for luxury, yet so few places in the world offer both. This is one of those places.